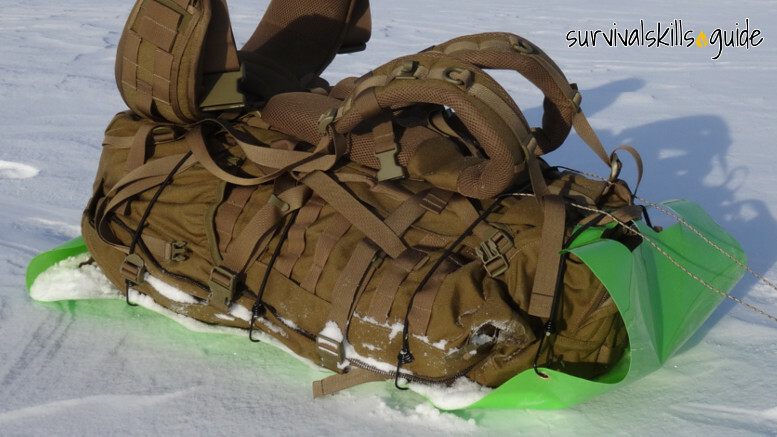 When there’s lots of snow on the ground, the best way to carry gear is on a sled. So I made an ultralight sled that is compact and costs about ~$20 to make. 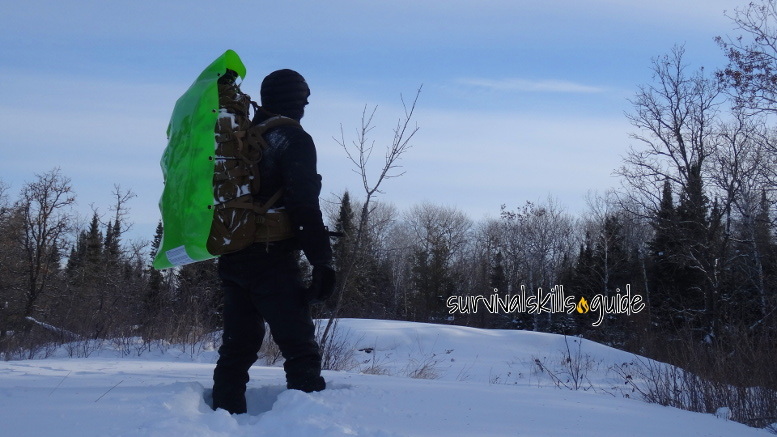 The main advantage of an ultralight sled is that you can easily carry it on your back if the terrain is not ideal. I looked for ideas online and found out that ski tourers have been using crazy carpets as portable sleds for years. I also found an Alaskan company making ultralight racing sleds, but they cost over $200 (and weight 3.5 pounds). The harness is tied to the pack, not the sled. To make my ultralight sled, I bought a long crazy carpet (48”), bungee cord (10ft), bungee cord hooks (4), and a grommet kit. 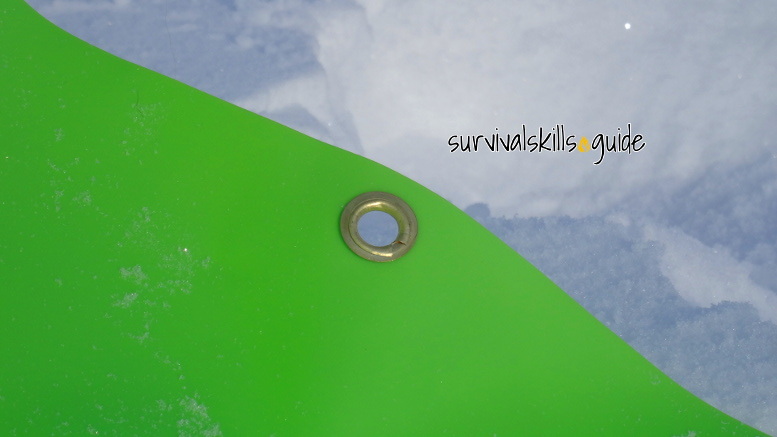 I used a hammer and the grommet kit to punch 8 holes in the sled. Instead of buying pre-made bungee cords I bought the pieces because I could customize the length, and tie one end so that I would never lose it; the bungee cord I bought is also lighter. 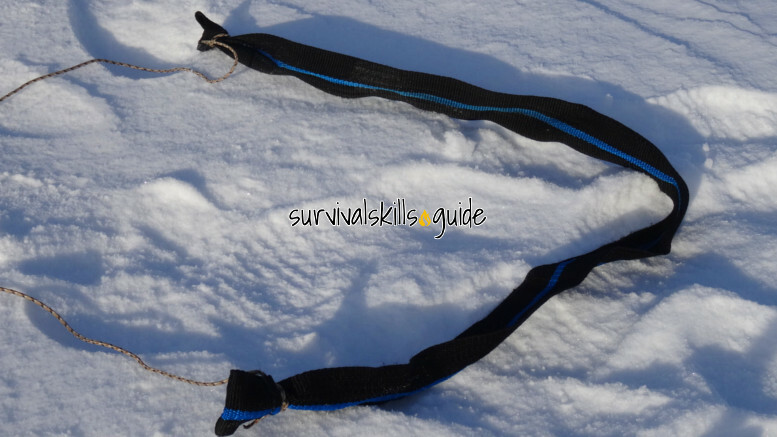 It’s a pain to tie knots in extreme cold, that’s why I’m using bungee cord. 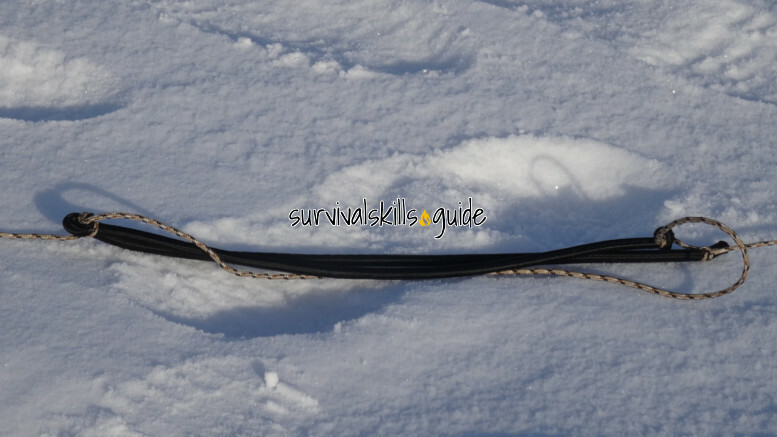 This is how I tie the front of the backpack and sled. To make a harness, I used 2” webbing (40” long) and cord. I like to use the harness like a one strap messenger bag. This way I can use a very simple, lightweight harness, and I can switch shoulders if I’m uncomfortable. In theory, if you shorten the cord by using bungee cord, pulling will feel smoother. 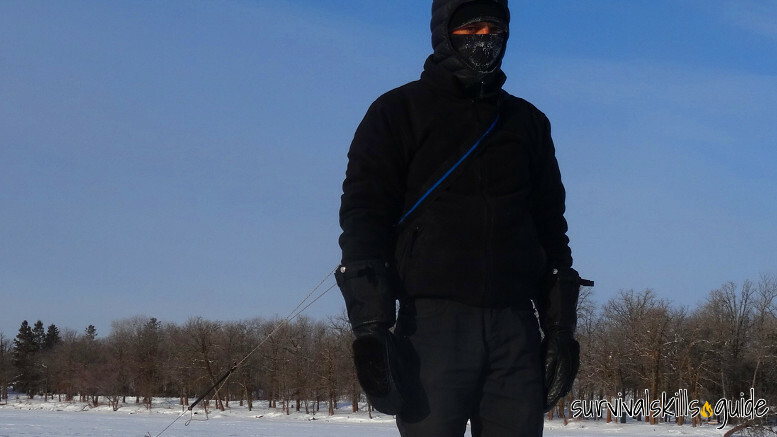 The harness is tied directly to the frame of the pack and doesn’t touch the sled, that way the pulling force won’t break any straps in my pack or break the sled. 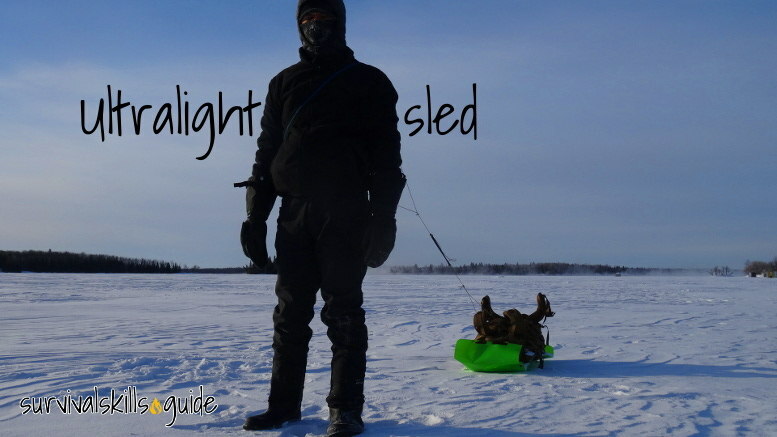 Obviously this ultralight sled won’t last for years, but it’s cheap, light, and compact. It weighs 1.04 lb (476g) including the harness and cords. In powder snow it is harder to pull the sled, but in compact snow I barely notice the sled. 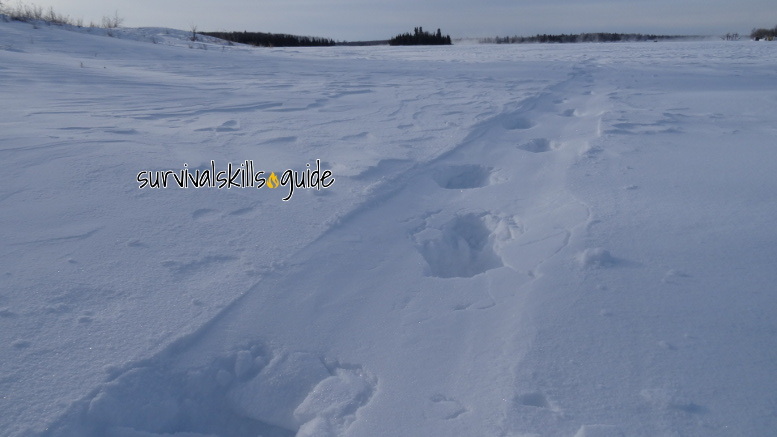 Having wide snowshoes would help compact a trail for the sled. Works great on crusty snow. It takes me 15 seconds to shove the harness between the pack and sled, and then put the backpack over my shoulders; so it’s very versatile that way. It takes me even less to place the pack on the floor, grab the harness, and start pulling the sled again. I was worried that the sled would be narrow for my huge Predator SF pack, but it works fine. A narrower backpack would work better with this type of sled, for sure. 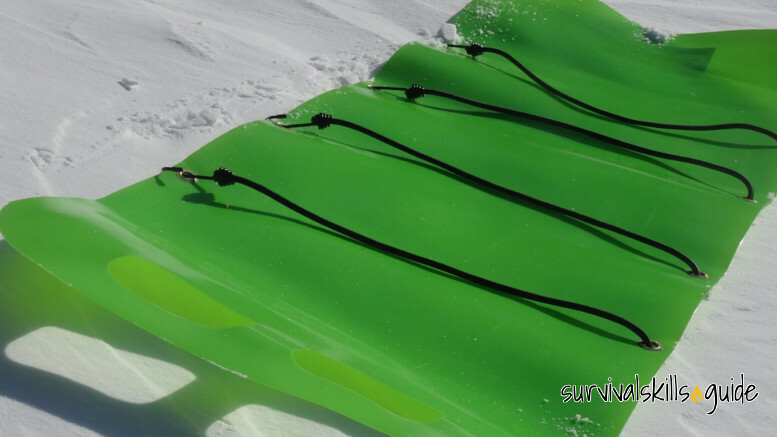 I’m happy with the sled; my area gets lots of snow and is very flat, so it’s perfect for a sled. I wanted something that could be used for a bug out scenario and this ultralight sled is a good compromise. 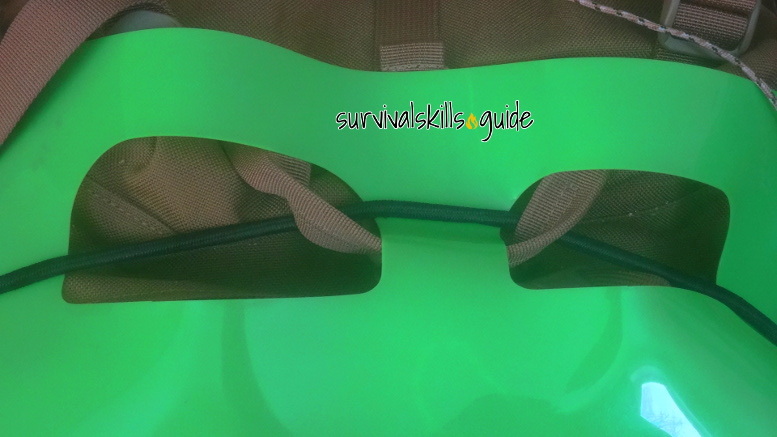 Be the first to comment on "How to Make an Ultralight Sled for a Bug Out Bag"